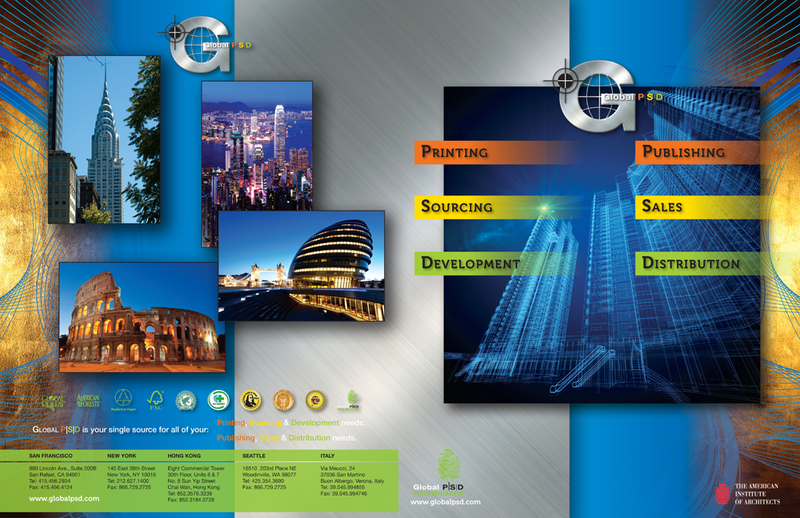 Brochure designed for GlobalPSD’s involvement in the American Institute of Architects 2012 trade show. 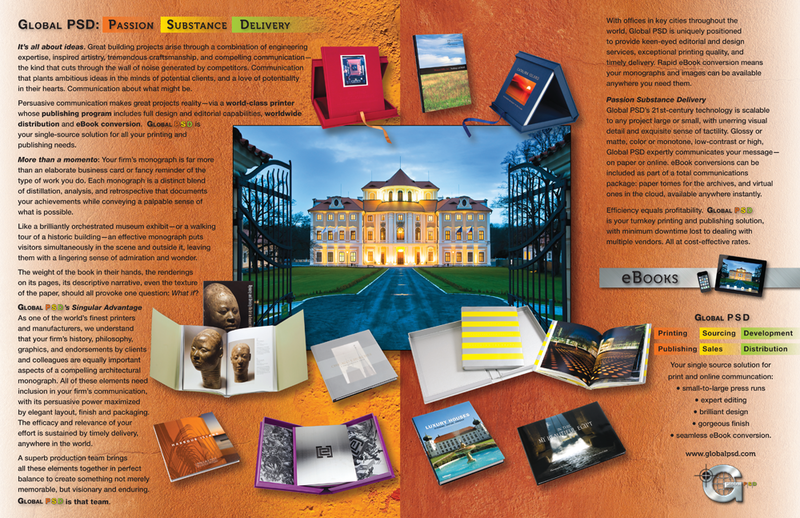 I directed the photoshoot for photographing hundreds of new titles for this publishing company, sourced images and textures based on a creative meeting with the GlobalPSD team, redesigned their logo to incorporate the new metal textures, and put together options for presentation of this brochure. I also designed the trade show booth for this event in Washington DC. See also trade show booth.